There are many opportunities to experience arts and culture in the Columbia River Gorge. Start exploring now with this Arts & Culture Map! 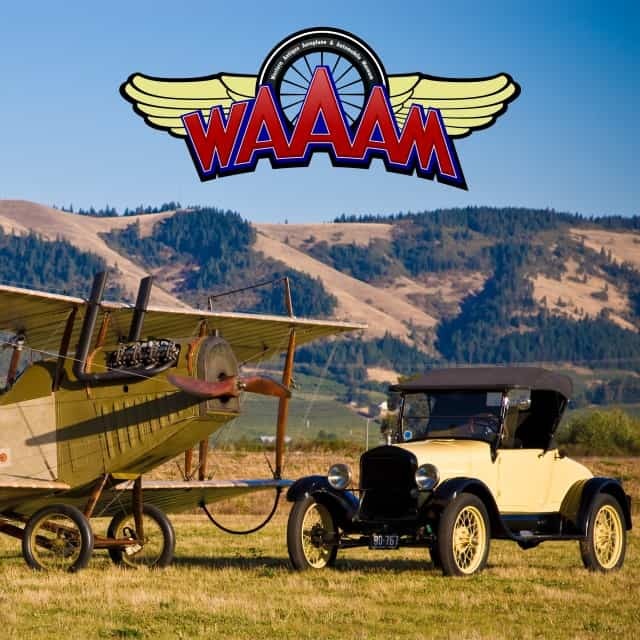 Besides Maryhill Museum of Art, Klickitat County is home to three other fascinating museums worth your time to visit. 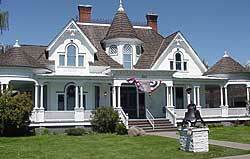 Presby Mansion and the Klickitat County Historical Society is located at the Presby Mansion in Goldendale. The 1902 mansion has three floors filled with furniture, clothing, utensils, and personal effects from the 1880s through the 1930s. The museum has a small research library containing county records, photographs, cemetery burial lists and various publications. Located on the museum grounds is a Carriage House which will be used to exhibit antique farm machinery and a pioneer school house. The School House typifies a turn-of-the-century one-room school. Hours: Open daily April 1 thru October 31, from 9 a.m. to 5 p.m. The Gorge Heritage Museum is operated by the West Klickitat County Historical Society. Located in former Bingen Congregational Church it is open from late-May through September. Tours are available by appointment all year. The museum’s displays include many items relating to the early history of this area, many on loan from local families. Display-cases showcase pioneer clothing, household implements, logging and farming tools, medical and surgical equipment, historical documents, newspapers, and Native American artifacts and crafts. Displays include a history of the SDS Lumber Company and of nearby Broughton Lumber. Also included is a photographic journey into the construction of near-by Condit Dam on the White Salmon River. The Lyle Twin Bridges Museum, located off of SR-14 in Lyle, opened in the summer of 2007. The focus of their collection is the Lyle area. The museum is currently open on Tuesday and Thursday evenings from 6 to 8 p.m. during October and November or call 509 365-0060 to make an appointment to visit at other times. Their collection consists of photographs, newspaper articles, Lyle and Lyle School histories, mementos and other memorabilia. The Native American communities of the Columbia River Gorge have lived on this land for more than 10,000 years. Their history and cultural is beautifully presented at three nearby tribal museums — all within a 2-hour drive of Maryhill Museum of Art. The Oregon Museums Association lists Oregon museums by region. Visit Washington Museum Association for information on Washington museums.